We strive to provide individualized patient specific physical therapy to enable our clients to efficiently improve their health, resolve pain, and return to their desired lifestyle and function. Our plan is to never become complacent in the way we practice, but rather continue to research, learn, apply, and evolve as a team of healthcare professionals. Clients receive extensive one on one time with a therapist in a private treatment room; every appointment lasts a minimum of 40 minutes. We believe in the power of hands on treatment with less emphasis on machines and modalities. Our treatment strategies and plan of care center on identifying the underlying cause of pain and functional limitation. We educate, educate, educate!!! Our clients are empowered when they learn how to stay healthy and pain free. We emphasize open communication with our client’s primary physician, and we integrate our treatment with other trusted medical professionals when our clients need a multiple discipline approach. We are currently accepting new patients who are looking for a progressive approach to dealing with their pain and functional limitations. New patients will be directed to the therapist who specializes in their area of need. If necessary a patient will work with a team of 2-3 therapists. Our team approach allows us to administer multiple treatment techniques to further progress the recovery of our clients. 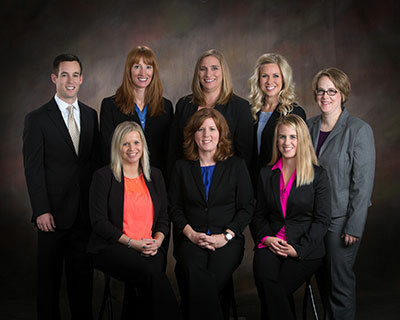 Our “treatment” team consists of 7 physical therapists, and 1 physical therapy assistant who together have over 70 years of clinical experience. Our extensive experience has exposed us to multiple areas of patient care and has lead us to become very comfortable and adept at treating “tough” chronic cases. We feel privileged to have the relationships we have formed with our clients, and look forward to forming more.